Going into one supermarket and being able to buy everything I need! – This is driving me absolutely insane; I walked all across the city centre last weekend going into every Asian / Middle Eastern/ African / Western supermarket I could find looking for endame beans and only found one store on Thursday on the way home from work that stocked them…. In Australia I could walk into any Coles or Woolworths and find them in the frozen veg section of any store. Cheap, decent quality electronics and appliances. I always took it for granted how cheap and easy it was to get a microwave, new headphones, a television, etc. in Australia. Now, when I need to buy all of those things here in Ireland without the benefit of Australia’s trade agreements with Asia the cost of electrical goods here is SO, SO much more expensive. Clothes drying in one day. Yes, yes… I know I came to a wet cold country what did I expect… but I did think I would have a dryer. Old Jamaican chocolate by Cadburys – I forgot to pack a block or two when I left, however this stuff does not travel well in a care package so sadly I will have to wait until someone is coming over here and ask them to bring a block with them. My friends. I know they are only a phone call, Facebook message, SnapChat away but I miss not having them around on the weekends when you are wanting to just hang out in the park or go shopping. I know I will make new friends that I will be able to do this with eventually but for the mean time I miss my Australian friends. But all of these cannot be packaged up and sent in my care package from home, so I will have to be more strategic… and a little materialistic on what my care package will contain. Bean bag covers – these things are ridiculously expensive in Ireland 80euro and up! In Australia I brought one with filling from Kmart for $25 total. So I would like Bean Bag covers so I can have a bean bag in my room (and some spares just in case). 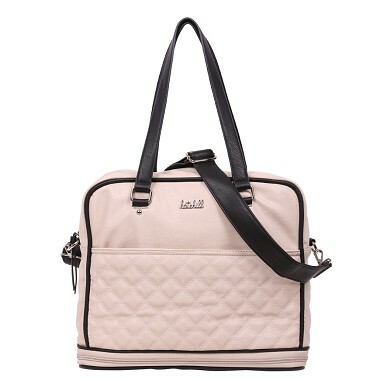 A Kate Hill overnight/ weekend away handbag and/or side bag – I love Kate Hill handbags and am really missing not being able to order a bag online anytime I want (they don’t ship to Ireland)! 1 double adaptor and 1 power board – I brought 2 Australian to European plug adaptors with me when I came over here, however I must of brought about 6 items which require the adaptors and I am constantly switching back and forth between them, so instead I would like 1 double adaptor and 1 multiple power board so I do not have to be constantly switching back and forth. Hydralyte – I had a massive hangover the other day so I checked in to the chemist to pick up what in Australia we call Hydralyte – pretty much it rehydrates you. Turns out the Irish stuff tastes horrible and is nowhere near as effective at curing a hangover as the Australian version. So in preparation for my next hangover I would like some Hydralyte (the orange one please). Brown Brothers Cienna…. Well if I am going to have the Hydralyte I may as well have my favourite bottle of wine to go with it. Still haven’t found anything that I enjoy drinking as much as a bottle of Cienna. So that is what is in my care package, fingers crossed mummy dearest doesn’t kill me with my list and I shall definitely update you and show you the goodies when it arrives at the end of June! In the meantime I am curious to know what others would have in their care package so feel free to leave a comment telling me what you miss from your country of origin and would have in your care package.